Resources available to active subscribers of the SpeakerMatch service. 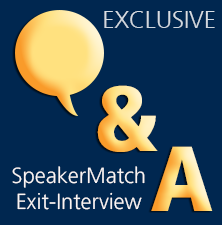 For more information on the SpeakerMatch service or to select a membership option, click here. Meeting Planner, Marie Herman shares Her inside-the-industry tips for getting that gig. 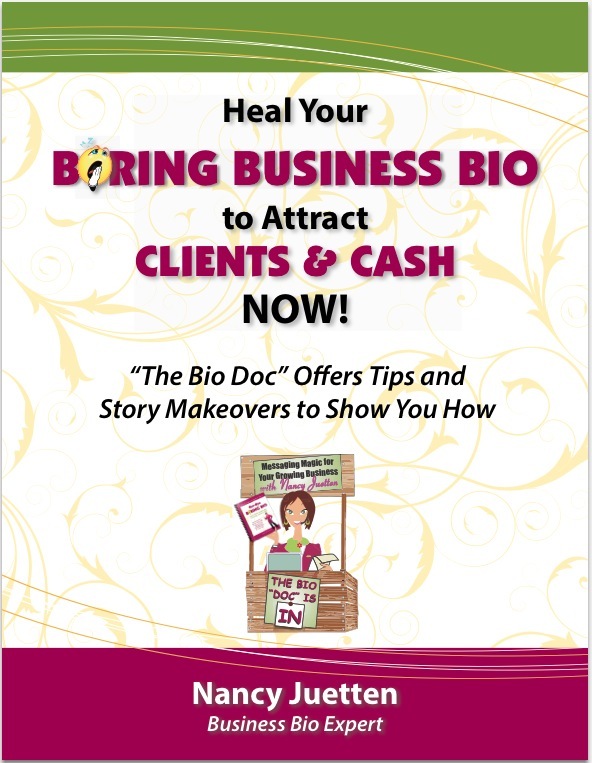 Are you ready to transform "Bio Shame" into "Bio Pride" to your business advantage? If your answer is YES, here is great news. This gift guide, provided by Nancy Juetten, will guide you forward. Right now. Creating a story that supports lead generation and sales is important to make a winning first impression. And it doesn’t have to be so hard. 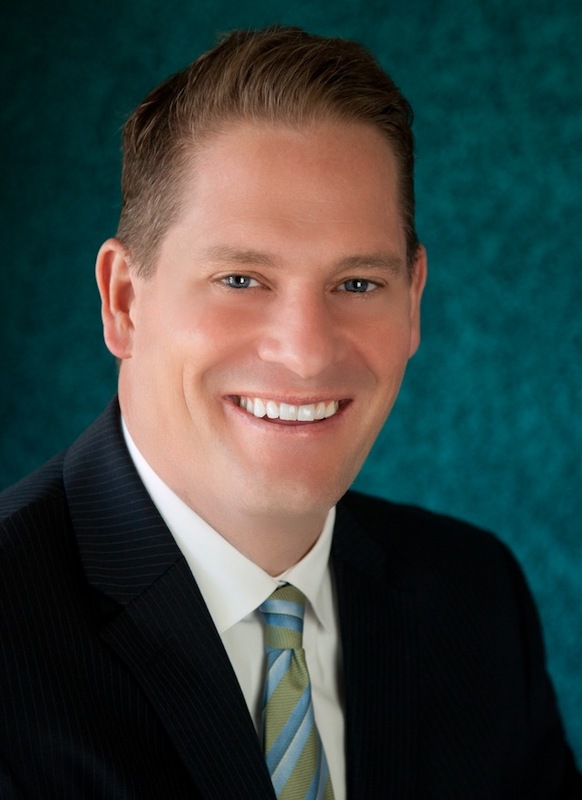 International best-selling author and professional speaker, Patrick Snow, shares how he has booked and earned more than a quarter million dollars in revenue from SpeakerMatch over the last ten years. More importantly he shares exactly how he did it, and what strategies you can immediately implement to drive more revenue to your bank account. Two sample contracts available in Microsoft Word format. 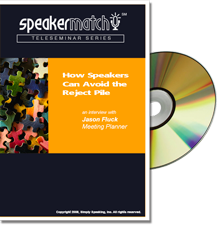 Bryan Caplovitz, CEO of SpeakerMatch, discusses with meeting planner Jason Fluck how Jason utilized the service, what he found useful, and how he made his speaker selections. Topics covered include: Why Did My Proposal Get Rejected, an interview with meeting planner Marie Herman, Help Me Hire You: Surefire Startegies to Get Booked with David Newman, Copywriting for Professional Speakers with Bob Bly, Transform Your Boring Bio from Wallpaper to Wow with Nancy Juetten, Attracting Corporate Sponsorships with Linda "The Wealthy Bag Lady" Hollander, and Patricia Fripp Up Close and Personal with Past NSA President Patricia Fripp. 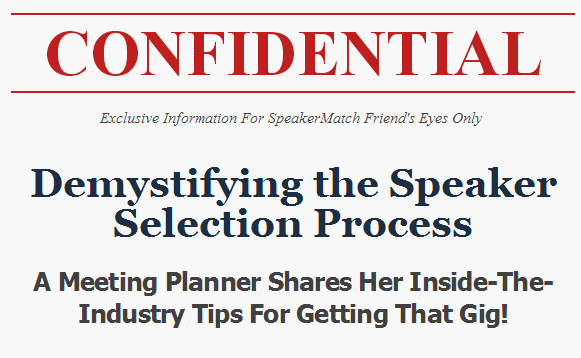 Feedback and insights from meeting planners on their speaker selection process using the SpeakerMatch Job Board. This guide will help you to recognize meeting planner bias, what information is essential to overcome those biases, and a sample application to bring all the pieces together. This guide provides a flexible formula for writing compelling programs within SpeakerMatch. Provided is an example program description and specific recommendations for optimizing available settings. Behind The Podium is SpeakerMatch's member newsletter — a resource for emerging professional speakers, business leaders, technical gurus, educators, and other subject-matter experts who speak. Each issue of Behind The Podium contains insights from some of the best in the business, marketing strategies for professional speakers, and resources to grow your business. You must have an active SpeakerMatch subscription in order to access this resource.